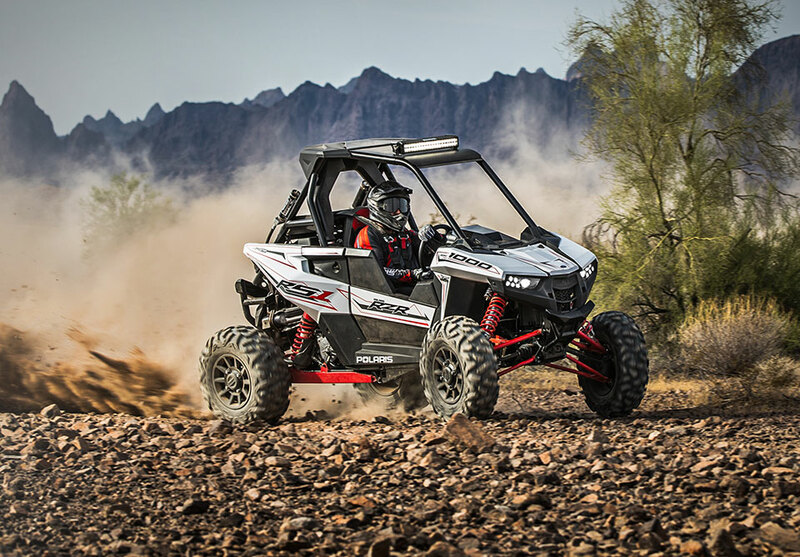 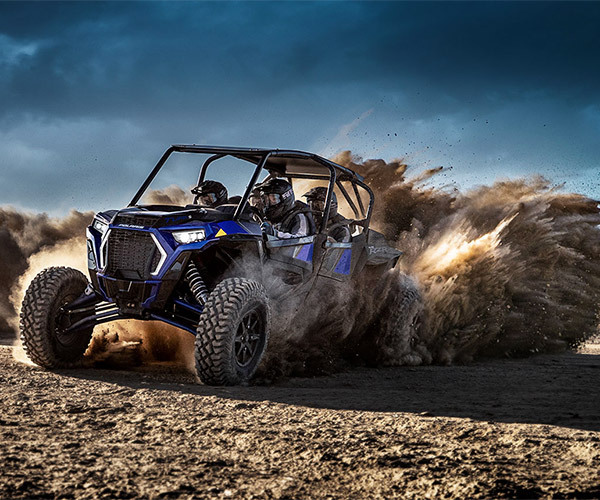 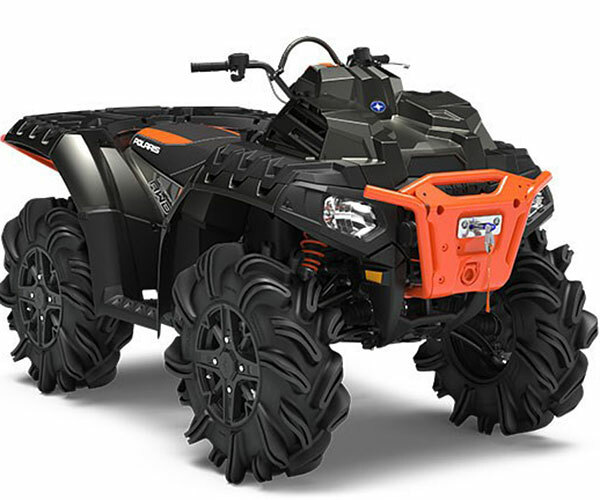 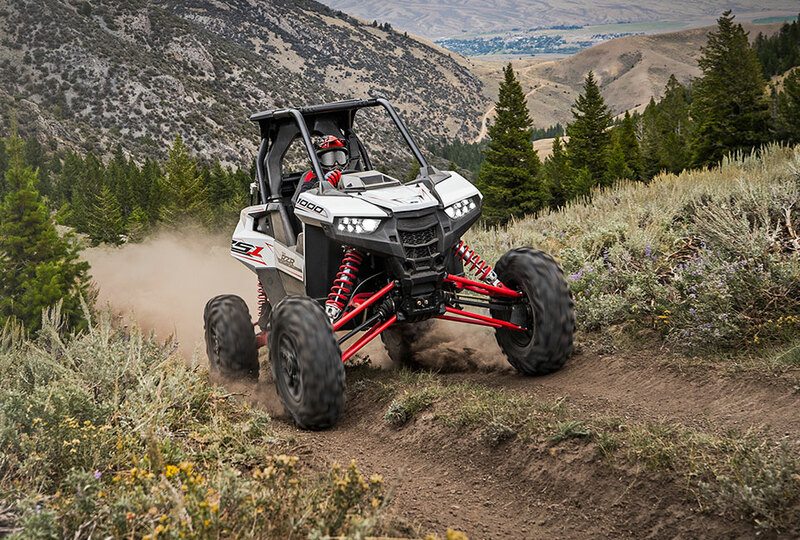 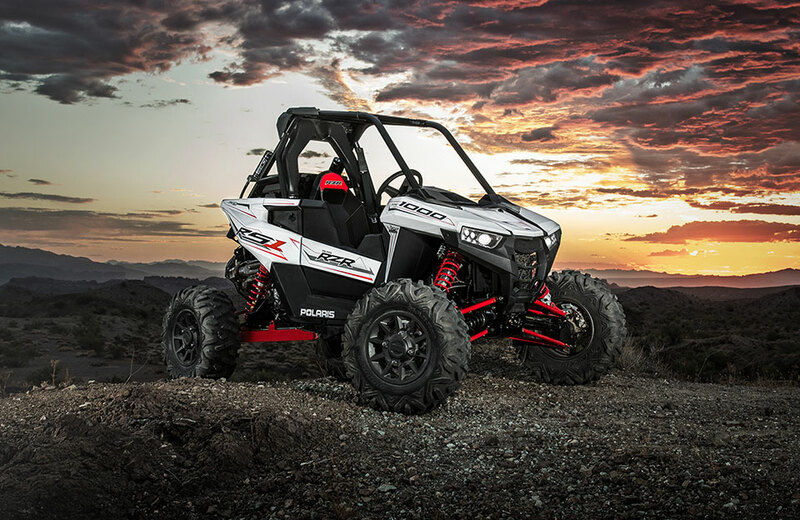 The RZR RS1 is based on the RZR XP 1000 but with a lighter chassis and a center-cockpit setup. 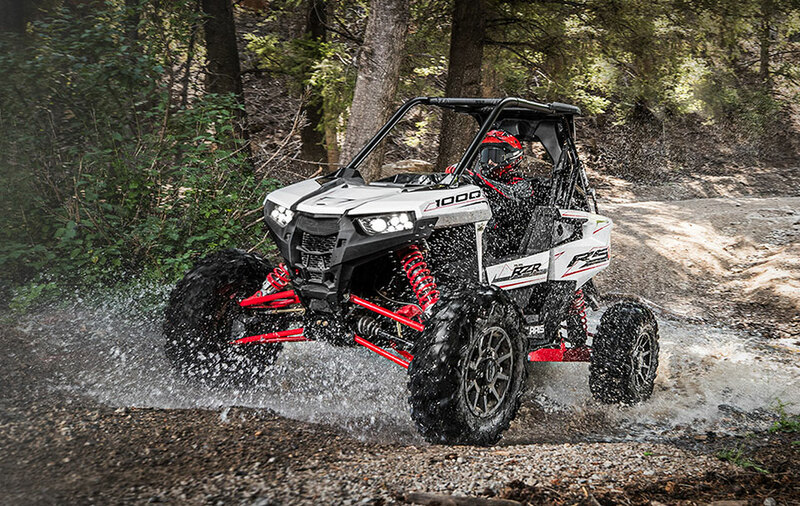 That means better visibility and stability, especially when ripping through corners. 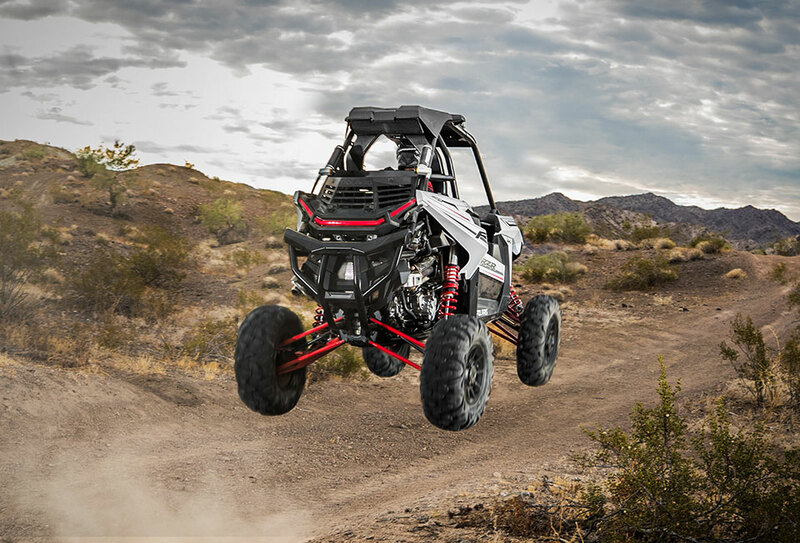 It has a 110hp 4-stroke twin cylinder engine, 16″ travel front suspension and 18″ travel rear suspension.